This blog will be about my opinions, the latest news, and cool stuff. Is It Okay? Or is it ok. SODA BOTTLES? (I am not kidding, that is one of the things you can use in the game) Well... whoever thought of that?! 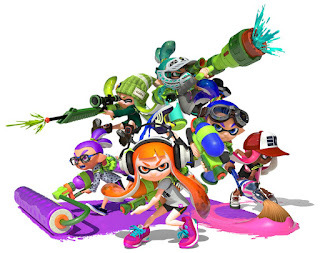 Splatoon is famous for its originality. Seriously. Stop it fans. What is the big deal about Birdo? He/She is not that cool! Maybe the boss or whatever is unique, and the way Nintendo supports him/her is cool, but the name! Birdo, or whatever. It doesn't look like a bird to me. Also, it looks like an alien. Why is Yoshi teamed up with Birdo in Double Dash?? Super Mario Odyssey just came out and everyone went wild. Especially Mario fans. Nobody thought that a new 3D Mario game would be the next best Mario game for 2 reasons. First of all, 3D World and 3D Land did not hit the target. They were phenomenal games, but they won’t be on top. Second, nothing can beat Super Mario Bros 3, Super Mario World, and Super Mario 64. They are the best! It turns out, it was the best Mario game. But, those people all have the same question: Is SMO the best game of all time? (SMO stands for Super Mario Odyssey.) They are not sure thanks to The Legend of Zelda: Breath of the Wild (LOZ: BOTW ) and The Legend of Zelda: Ocarina of Time (LOZ: OT). People don’t know if SMO is best, or LOZ: BOTW and LOZ: OT are the best. Now, that is an obvious answer for me because I am the biggest Zelda fan. But maybe not for you. Here's why Zelda is better than Mario. My Waluigi is too precious. Wow! I published 3 posts in just one day. So, we went to Barnes and Noble and found a Waluigi plush. So we bought it. It is amazing! So I decided to treat my Wa like a pet. I feed it, sleep with it, and poop with it. Can't you see how beautiful its ugly face looks. Its legs are so big. Wow... (winks.) 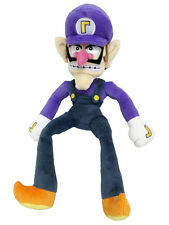 Waluigi is such a great name. I love how his teeth take up his whole face. Dank u fer my Wa! Keep making such quality toys. My Waluigi is way too precious. BYYYYYYYYyyYYYyeeeeeEEEEeE333333EE!!! Visitbiloglu.blogspot.com, www.arcabaran.com, and Aligator06.blogspot.com. Ugh! I nearly died from Mr.Crabs' memes. Luckily, I escaped his claw. I used to be sooo into memes. But now, I am so into LOZ. By the way, Nintendo, why did you name it "The Legend of Zelda"?? Now people think Link is Zelda. Also, I made my own Google Classroom a month ago, here is my code: go6ei7 . One more thing before I start my list, visitbiloglu.blogspot.com, www.arcabaran.com, and Aligator06.blogspot.com. It is an amazing game with unique combat. It is a game of combos. You are trying to make all areas green. How do you make an area green? By killing all the the enemies in that area. There are a bunch of enemies coming at you. You need to kill every single enemy and boss before all areas turn red. It is hard not to die because of all the bosses and enemies. But, luckily you have teammates beside you. I would rate it 85/100. Did I mention that this game is coming to the switch??! Luke rejects Rey and says he wants the Jedi to end. His way of thinking continues throughout the story. Luke is grumpy and is not like he used to be. The creators did a great job with the character's personalities. Also, the acting is phenomenal. Great job Disney. It is 100/100. Everything seems so real!